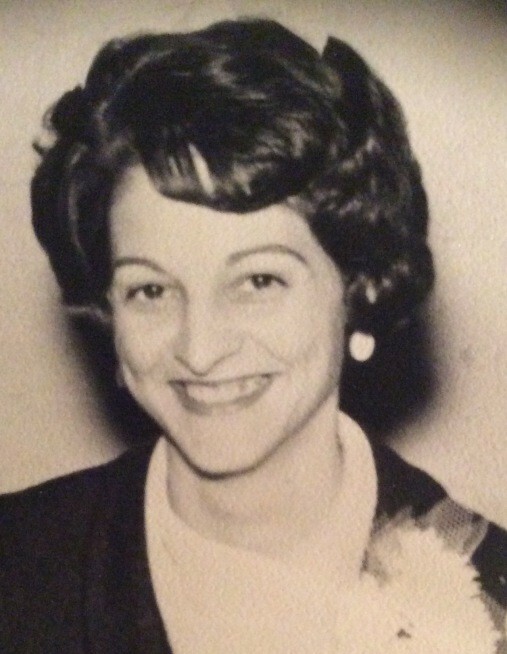 Obituary for Mary (Zanaglio) Pozonsky | McIlvaine-Speakman Funeral Home LTD.
Mary Zanaglio Pozonsky, 83, of Canonsburg, died unexpectedly, Monday, March 26, 2018 in the Canonsburg Hospital. She was born January 7, 1935 in Midland, Chartiers Township, a daughter of Faustino and Gustine Zamboni Zanaglio. Mary was a 1952 graduate of Chartiers High School. Mrs. Pozonsky had worked for the former RCA in Meadow Lands; was a waitress at the former Rockies Restaurant in Houston and Bona Vita in Canonsburg; worked in the Orthodontist Lab of Mayberry, Katz and Seifer in McMurray; and with George Coleman, Jr. helped the pilot program in Canonsburg, for CPR training in conjuction with the American Heart Association. She was a life time member of the Women of the Moose Chapter #166 in Canonsburg where she was named senior regent in 1965. Mary was associated with the Moose Heart Legion in Chicago, IL that was involved in children’s care. She was a member and officer of the Wylandville PTO while her children were in school and was active in several bowling leagues in Canonsburg. Mrs. Pozonsky was a member of St. Michael's Byzantine Catholic Church, Canonsburg, where she belonged to the Women’s Auxiliary. Mary was considered the family historian who never forgot a birthday, anniversary, or any special occasion. On May 10, 1958 she married Michael J. Pozonsky who survives. Also surviving are a daughter, Lisa M. Renko of Meadow Lands; a son, John Pozonsky and his wife Michele of Hickory; three grandchildren, Joshua Renko (Megan Watson), Brittany Clark (Tyler) and Jordyn Pozonsky;2 great grandchildren, Branson Clark and E’lynn Watson; two brothers, Faustino Zanaglio Jr. (Gwen) of Muse and Bertram Zanaglio of McMurray; and many nieces and nephews. Also left behind is her beloved dog CiCi. Deceased are four brothers, Angelo, Robert, Andrew and James Zanaglio. Friends will be received from 7 to 9 Monday, 2 to 4 and 7 to 9 Tuesday in the McIlvaine-Speakman Funeral Home Ltd., Robert K McIlvaine, Owner/Supervisor, 27 Cherry Ave., Houston, PA 15342. A Divine Liturgy will be held 10:00 a.m., Wednesday, April 4, 2018 in St. Michaels Byzantine Catholic Church, 166 E. College St., Canonsburg. Interment will follow in the National Cemetery of the Alleghenies, Cecil. Panachida service will be held Tuesday at 1:45 p.m. in the funeral home.